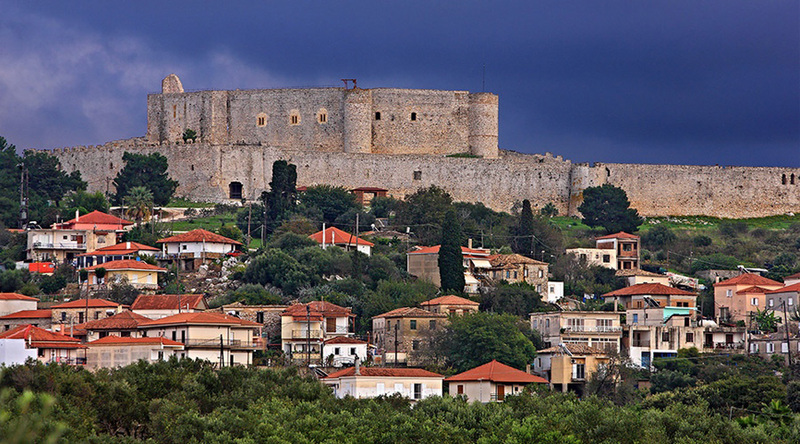 Chlemoutsi is one of the most beautiful castles in Greece. 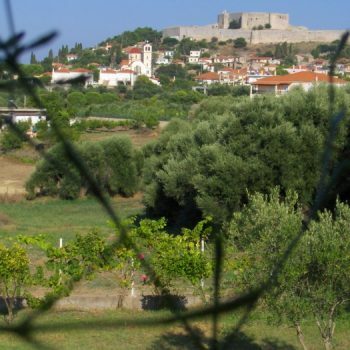 It’s 55 km northwest of the port, it’s on the top of a hill. 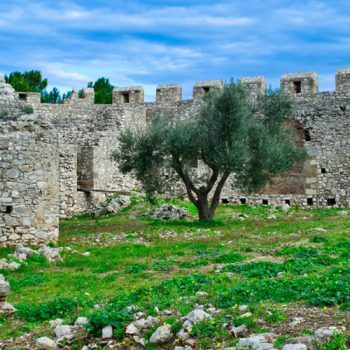 The route takes about 45 minutes where you can see the rural area with many olive trees. 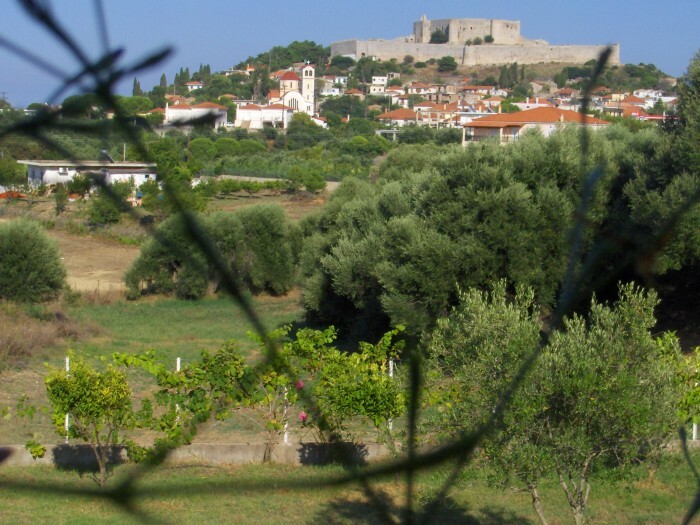 In the west side of the castle you can have a beautiful view of the Ionion Sea where you can see the islands of Zakynthos and Kephallonia. 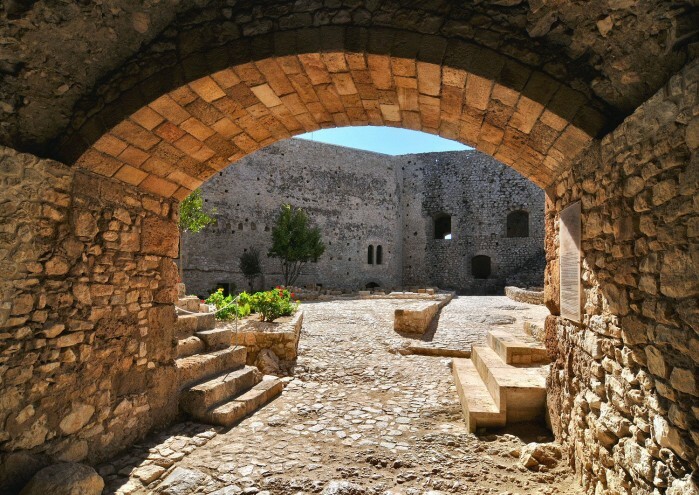 Chlemoutsi castle is one remarkable antique of the world’s architectural beautiness and remains as one of the most important well preserved ancient fortress’s of Greece. 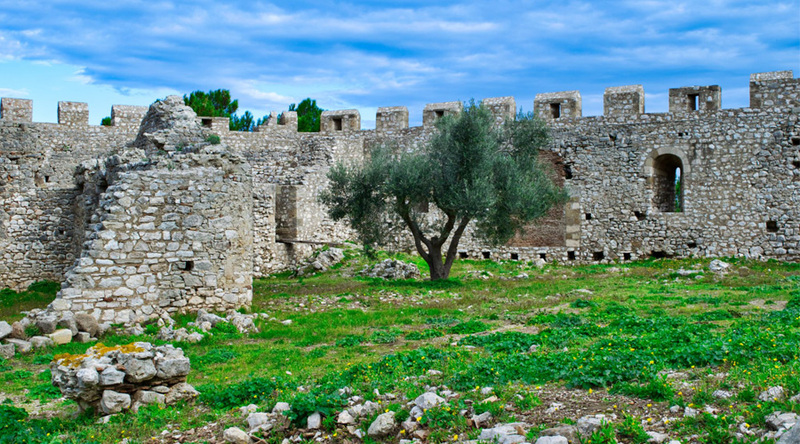 The Chlemoutsi stands on the summit of a hill on the western most headland of the Peloponnese. 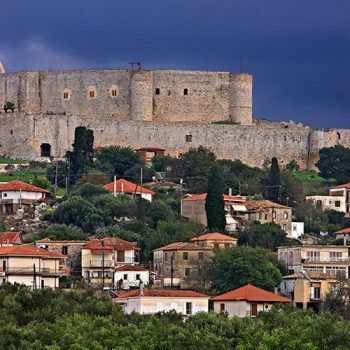 It was built in 1220 – 1223 by Prince Geoffrey I de Vilehardouin and was the strongest fortress in the Frankish principate of Achaia. 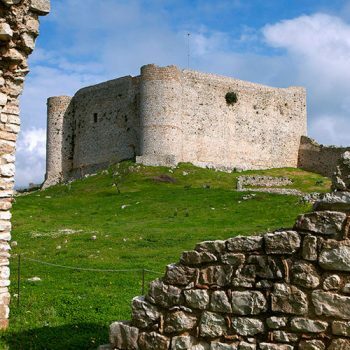 The castle was built from the outset by the Franks who called it Clermont, the name becoming Chlemoutsi in Greek. 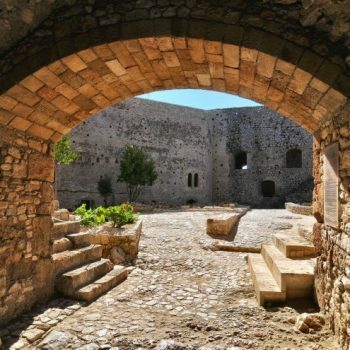 It was later known as Tornese, on the basis of an erroneous assumption that it was the location of the famous mint that issued the tournois coins. 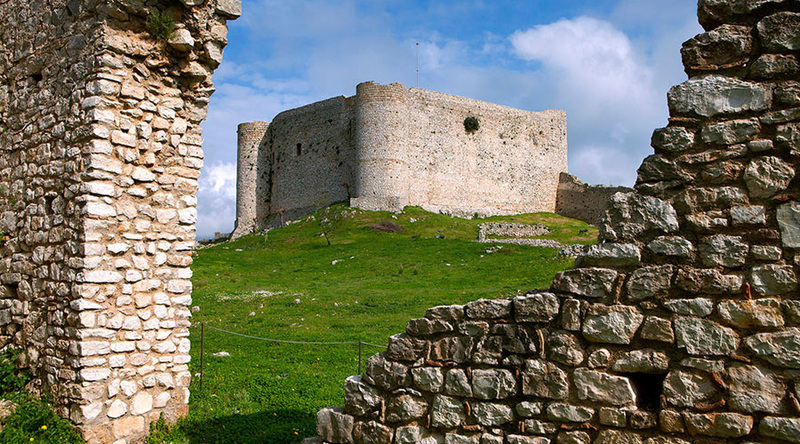 The location chosen for the new castle was a strategic site from the top of its hill Chlemoutsi protected the famous commercial port of Glarenza and the capital of principate Andravida and controlled the area that formed the core of the Frankish possessions in the Morea.